Priyanka Chopra starrer Mary Kom biopic launches its first look. 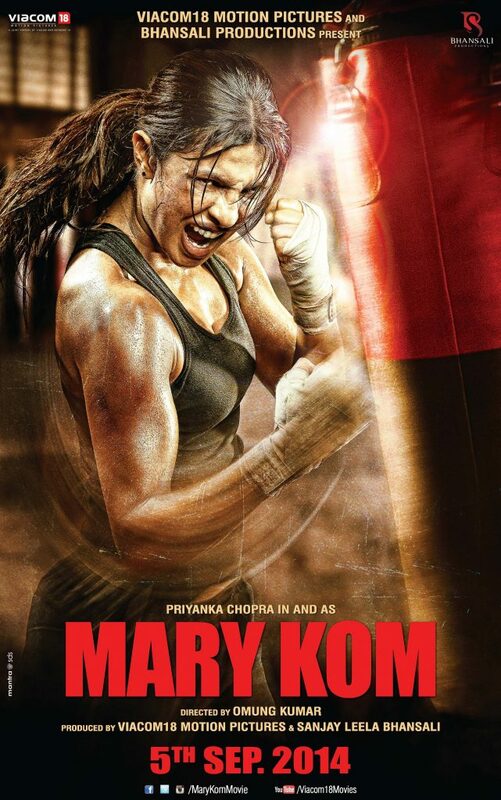 The much awaited Mary Kom (MC) biopic starring Bollywood’s foremost heroine Priyanka Chopra revealed its first look to the media on July 15, 2014. “Mary Kom: The story of a woman who knocked out all odds”, has been produced by Viacom18 Motion Pictures and Sanjay Leela Bhansali, the film is all set to release on 5th September, 2014. Bhansali had first announced plans to make the biographical film in 2012. The film is based on the life of India’s premiere female boxer Mary Kom, the 5-time world boxing champion won India a bronze at the 2012 Summer Olympics. 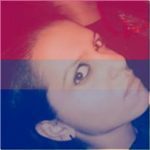 Mary has been responsible for charting India’s feat on the world boxing map. Actress Priyanka Chopra is known for her ability to immerse herself in any given role, the National Award Winner has undergone some intense physical training to imbibe the characteristics of a boxer in her. The film has been directed by debutant director Omung Kumar and is all set to hit the screens in September after many date shuffles, owing to release date clashes with other films. 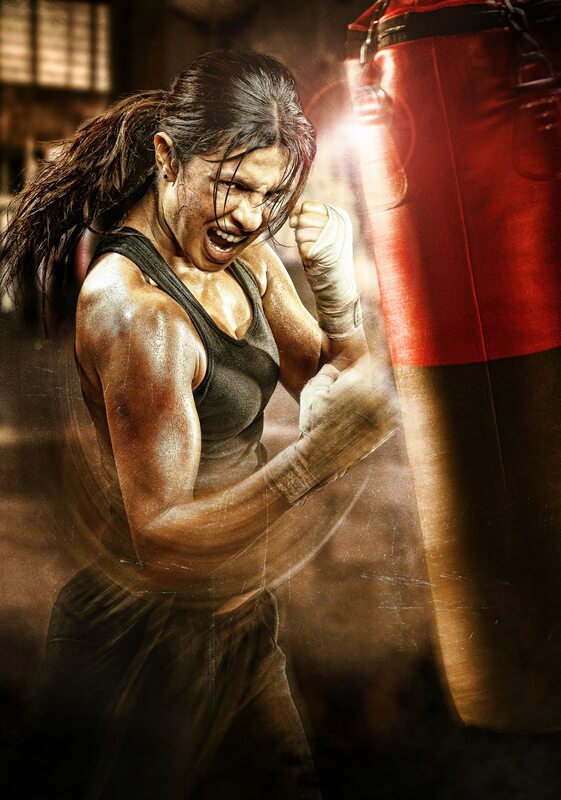 After her stellar performance in Barfi, audiences are now keen to see Priyanka play the role of a boxer. While talking about her role to the media, Chopra has always maintained that playing Mary Kom has been one of the toughest challenges of her career. Amidst all the blockbusters and masala flicks, Bollywood rarely sees a biopic film, even rarer is a film on a living legend; the life of a sports woman who fought her way to the top braving all odds, makes for an inspiring film. MC’s real life struggle coupled with Priyanka’s acting prowess will surely make for an intriguing cinematic experience.